After a couple of months' break, Boxing Day saw the return of the popular pitching show. But what can you learn from the episode's successes? 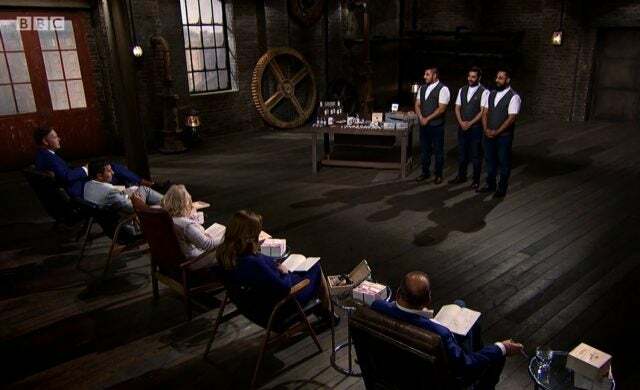 As if the festive season didn’t give us enough to celebrate, this year’s winter holidays saw the long-anticipated return of Dragons’ Den in a new episode which aired on Boxing Day. Featured in this semi-Christmassy instalment were a personalised greeting card company, a healthy food business, a men’s grooming retailer and a personalised letter-to-Santa brand – but only two of these descended the Den’s famous lift with investment in the bag. Concept: An online marketplace for greeting cards. After recovering himself from a false start in which he seemed to forget how to speak, founder Andrew Pearce pitched Thortful; a mobile app which enables users to upload original greeting card designs, receiving 50p in royalties for each copy of their card sold. The Dragons appeared impressed by the 12-month-old business’ 65,000 customers, promising turnover predictions and healthy margin, and so their signature grilling started as more of a gentle warm up. But the heat rose in earnest when Jenny Campbell raised concerns over social media’s impact on demand for physical cards, and Jones suggested that the brand had no USP – though Pearce reasoned well against both points. The pitch took a turn for the unexpected, however, when Pearce admitted that he’d spent £1.5m developing the app, having previously built and sold two businesses and made £21m – to which a somewhat awestruck Peter Jones responded “you should be sitting here”. Though Pearce told the perplexed Dragons he needed help with growth, networking and raising further funding, most were put off by the small equity stake and the likelihood their investment would be diluted – and Deborah Meaden, Jones and Startups Awards judge Touker Suleyman declared themselves out. Sensing an opportunity for a joint deal, Tej Lalvani offered £40,000 for 10%, with Campbell offering the remaining £40,000 for 7.5%. Pearce insisted that 10% total was his limit, and turned down Lalvani’s subsequent offer of a buy-back. Eventually, the serial entrepreneur agreed to relinquish 8% each to Lalvani and Campbell, to drop to 5.5% each when their investments are repaid. Deborah Meaden: “In this business, I can see very quickly that you are going to get to a stage where you need millions. The raising of that doesn’t concern me at all. The bit that does bother me is that if I start at anything close to the percentage that you’re offering, I end up doing all of this work, bringing all of the funds in and ending up, at the end of the day, with a tiny, tiny, tiny piece. Peter Jones: “Andrew, you’re the type of person I’d love to work with because I think it’s good to work with somebody who clearly has entrepreneurial flair, talent, been there, done it, and actually is putting themselves on the line and having another go. Concept: A men’s grooming retailer specialising in products for beards and moustaches. Touting their family business as “one of the UK’s leading men’s grooming retailers focusing on beards and moustaches”, brothers Keval, Kunal and Savan Dattani entered the Den in snappy matching outfits and shared their nicknames; Unruly, Scratchy and Patchy – borne from the problems each had experienced with facial hair and which had, ultimately, inspired Mo Bros. In a smoothly-prepared pitch the brothers told the Dragons that, within three years of trading, they had attracted 200,000 customers and sold to over 78 countries and eight major airlines. Things looked hairy when Suleyman took a fine-toothed comb to the business’ numbers – specifically what he called its “itchy” £3m valuation – and when eBay was revealed to be the brothers’ largest revenue source, having generated £1m over 24 months. However, the trio were quick to clarify their figures to Suleyman, who dubbed them “impressive”, and reassured the panel with plans to move away from eBay and launch their own website instead. Their vision of Mo Bros as a global brand, with future sons joining to continue the business, warmed even the Dragons’ hearts and struck a particular chord with Lalvani – and the Dragons were even more impressed when it turned out that the brothers had started the business with just £750 each. Following the water-tight pitch, the Dragons were keen to take a cut of the business and all but Suleyman placed offers on the table. After dealing a little damage to Campbell and Meaden’s pride by negotiating solely with Lalvani and Jones, the brothers landed a joint deal with their favoured Dragons, who each offered up £75,000 in exchange for 10% equity. Jenny Campbell: “To turbo-boost this business it’s going to get a whole lot more complex than it is now. This is almost the – if I can say – the easy stage that you’ve done. You’ve run it as three brothers and done it via mostly online, and now you’re talking about possibly going global – and that’s really, really quite different.